Goodbye Summer and hello Fall! The fall season is a great time to become a homeowner because you do not have to worry about all the competition associated with a purchasing a house in the peak spring season. This means you have time to look at different properties and not feel pressured to make a decision right on the spot before someone outbids your offer. Also, by obtaining a St. Thomas mortgage this time of year, you benefit from affordable mortgage rates offered by your broker. But before you begin searching the market to find your dream home, it is important to be familiar with the current housing trends. 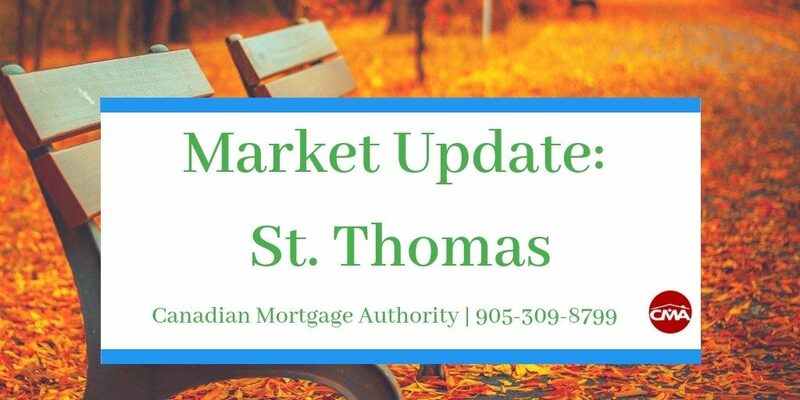 So to help, your local St. Thomas mortgage broker with the Canadian Mortgage Authority (CMA), has listed the most recent market update in the area. According to The Canadian Real Estate Associate (CREA), there were 98 listings in St. Thomas for August 2018 and the number of homes sold was 66 units. This is approximately a 10% increase from the units sold in August 2017. The number of active listings, however, has been on the decline; 98 active listings this year is approximately an 11% decrease from the previous year and is about a 60% decrease from August 2013. The average listing price for homes is currently $295,262, which is a 17% increase over the past twelve months and is a 47% increase in price since August 2013. With this consistent increase in average listing price since August 2013, it is safe to assume that the housing prices are going to continue to rise. Therefore, if you are thinking about purchasing a home, our team of experts highly recommends locking in a rate now with your mortgage broker in St. Thomas now before the rates get more expensive. Contact our office at 905-309-8799 for more details on the residential market update or to get started on your mortgage application. Our team at Canadian Mortgage Authority looks forward to hearing from you and helping you achieve your goals of homeownership!